We’re heading into autumn… but it’s getting Steam-E! You might have seen the recent article in the Leamington Courier which talked about our next project – cleaning thousands of bits of chewing gum off The Parade. As most of you will know, litter breeds litter and chewing gum is one of the worst – it never biodegrades. Not only that, it looks terrible and contains a chemical called Xylitol, which is toxic to dogs. The Parade has been cleaned up with a new state-of-the-art machine called ‘STEAM-E’ which uses small amounts of steam instead of litres of high-pressured water. It’s also much cheaper than conventional approaches. At the same time we’re launching our newest, hard-hitting campaign poster. You might not have heard of Jo Ruxton but there’s no doubt you will have come across her work. Jo is the campaigner and film-maker behind the work which resulted in the BBC’s Blue Planet II bringing to the fore the huge issue of plastic in our oceans. 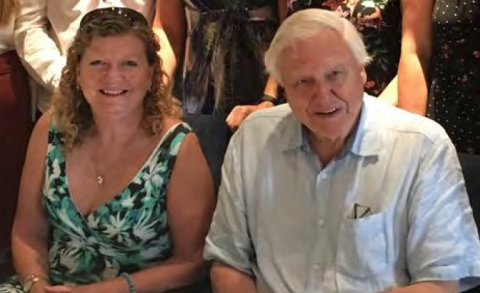 We’re absolutely thrilled that Jo is our newest Campaign Partner and are planning an evening event in Leamington where she will share with us her experiences, insights and some unseen footage. Venue and date will be published in the coming weeks and we will, of course, ensure our Community Activists are the first to know. Following our last Community Activists meeting we’re working on an idea which emerged about helping individuals and groups stand up for a better local environment on their doorstep and in their community. We’re developing that idea and will be sharing a proposal at an open session at Westbury Centre, Westlea Road on Thursday 25th October from 6.30pm – 8pm. Please join us! Of course, it’s vitally important that young people learn about the impacts of litter and single-use plastic and how they can make a difference. Now Or Never Campaign educational resources are ready to be rolled out to Primary and Secondary Schools in Leamington by a dedicated member of the Clean Up Britain team. The first session is due in late October. Please do get in contact if you know of a school who might be interested in participating. An important part of the Now or Never campaign is to encourage and celebrate those businesses who are making a difference. In partnership with Plastic Free Leamington & Warwick we’ve already identified a number of businesses who have committed to manage litter outside their premises, work to reduce their use of throwaway plastics and support their customers using refillable hot drinks cups and water bottles. Gaia is very much of the opinion that change is brought about when we are working together, not working alone. We are greatly looking forward to being a part of Now or Never to get the word out about single-use plastics, and what we can all do to make a real difference for our environment. 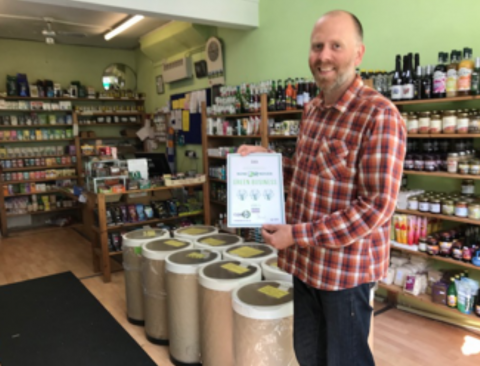 Look out for Green Businesses who can be recognised by window stickers and certificates. Noticed sad and tired looking public bins around Leamington Town Centre? Research shows that neglected, dirty bins are less likely to get used, contributing to the litter problem. The team have targeted a few bins that need some TLC. We’ll be lifting away the dirt and replacing peeling recycling stickers – and we need some volunteers to help! 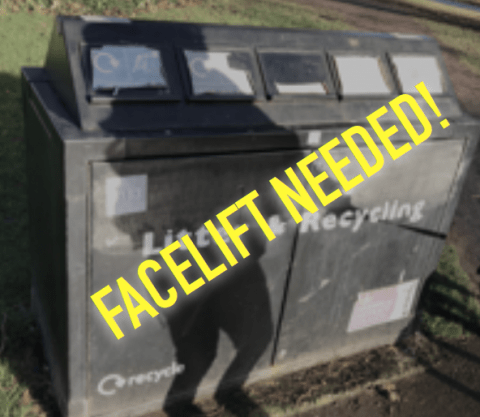 So if you’re ready to get properly stuck in and help us give some Leamington bins a thorough facelift get in touch. Contact us here to join us in the effort – we hope to get the job done as soon as we have sufficient volunteers. Thanks for your interest and support, as always!